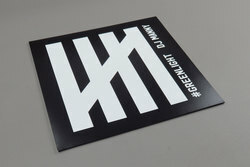 DJ Manny - Greenlight. Vinyl LP. Bleep. 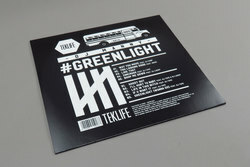 If, like this young blurb-writer, you can never get enough of that Teklife stuff, then Greenlight will be an easy sell. If you’re still undecided or unfamiliar, then you could find worse places to dive into the world of footwork than on this ten-track LP from a prodigy of the late DJ Rashad. The component parts are all in good working order on Greenlight. 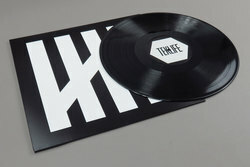 For instance everything runs at 160 bpm, and all of the tracks have a warmth to them unique to the music of the Teklife entourage - even when whacking you over the head with a vocal sample or a particularly ratchet bit of finger-drumming. Manny does a nice line in sci-fi melodies, too - try the campy spookiness of ‘If U Want It’ and ‘Zancrash’.